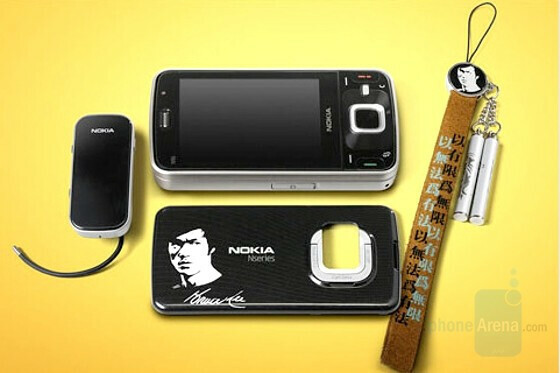 For Kung fu fans, the launch of the Nokia N96 Bruce Lee Special Edition is something to be excited about. Both legends of their respective territories, Nokia has taken their flagship phone and offered it in a special edition for those who love the martial arts master. The handset is etched with Bruce Lee’s face and signature on the back case, and comes preloaded with rare photos of the actor. Accessories are included, along with a Bruce Lee doll, and there is an accompanying website promoting the product (although it is a bit slow to load). The device can be purchased here for 8,788 Chinese yuan (roughly $1,286), though you will need to know a bit of Chinese in order to navigate the purchase website. Does it come with gold chop sticks?? you should take a look at the video of ads, it is so cool!! To Phone Arena: Master Lee was a master of Kung-Fu. Not Karate. Don't mean to be a prude or anything. Just thought I'd toss in my two cents. And if I had the money? Hell yeah I'd get it! The original text read "karate" and not kung fu. And his style was called Jeet Kune Do not Kwon. And he WAS known for his kung fu in movies. Jeet Kune Do was not written until the better part of his last days. Pay attention and read before you post. lol!..comes with gold chopsticks and a list of his favorite foods and defeated opponents!..lol!! !